Why does it take six weeks for delivery? We hand make all our seats to your order. Making a prestige British product takes a little time. We think it’s worth the wait. Extremely! The seats’ ergonomic profile and the close spacing of the tubing means the seats are comfortable and supportive. Do the seats get hot in the sun? No. In fact the metal seats are usually cooler than the wooden decking that we often display our seats on at shows. The rounded tubes on our seats don’t conduct or absorb the heat as readily as flat areas. This together with the reflective properties of uncoated steel, or the protective layer of the powder coating means that the seats remain relatively cool. Are the seats cold in the winter? No colder than a wet wooden bench and far easier to dry off and use. Very. A wipe with a damp cloth will remove most dirt, or a jet wash will quickly do the job. 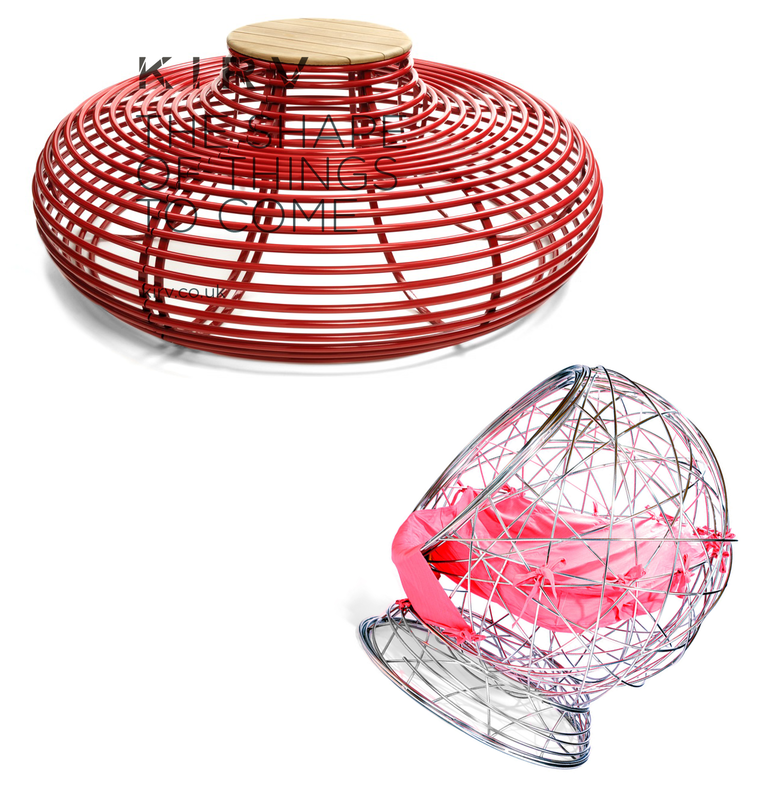 How do I fit the circular Kirv Bench? The bench comes in two halves for easy fitting and for cleaning beneath the seat. The two halves slot together and are easily fixed in place with two allen key fixings. If the bench is to be used as a standalone piece of furniture, we supply it with a hardwood tabletop. What colours do the seats come in? We offer six RAL colours as standard. Almost any colour can be sourced although this may incur a small extra charge. How long will the seats last? Being made from the finest materials and to exacting standards means our seats will last for very many years to come . Because the seats last so long, they can be ‘freshened up’ every few years by being stripped and recoated if desired. Does the powder coating last long? If treated with respect the coating can last up to 10 years. It’s tougher than traditional paint, but not indestructible. Can the seats be repainted if I want to change the colour in the future? Yes, we can arrange for them to be collected, stripped and then repainted in your choice of colour. Contact us for a quote.